This is the third session of the Universal Periodic Review (UPR) that Bahrain has participated in. It was attended by H. E. Mr. Abdulla Bin Faisal Aldoseri, Assistant Foreign Minister of Bahrain, who led a delegation of representatives from Bahrain and the session was presided over by H. E. Mr. Joaquin Alexander Maza Martelli, President of the Human Rights Council. Comments and recommendations were made from approximately 80 UN member countries. The opening statement by the Bahraini delegation focused on efforts made in Bahrain to promote human rights, including, but not limited to, capacity building in the executive and judiciary branches, the National Plan for the Advancement of Bahraini Women, providing equal opportunities and lack of discrimination for persons with disabilities, implementation of an ombudsman, launching a prize with UNESCO, meeting the 2030 education goals, provision of information on religious-based tolerance and training, launching housing projects for low and medium income groups, and unified law in the family. Comments made during the opening statement include that legislative framework in the area of religious tolerance and hate speech is very clear and in line with a conference on the religion and culture dialogues which they hosted in 2013. The delegates also claim that allegations of attacks on Christians and other groups, according to paragraph 50 of the summary by stakeholders, are false, stating that “the Kingdom is a model in freedom of belief.” It was noted specifically that “the king has reiterated that reform is an ongoing process” and that Bahrain continues to support human rights and development and is “proud to continue our efforts despite challenges such as external interference,” the threat of violence, and attempts to politicize human rights for the goals of politicians. Many countries commented on the need for equal political, social and economic rights of women. The state was called upon to strengthen the National Plan for the Advancement of Bahraini Women and to empower women and eliminate all forms of discrimination. Specific attention was paid to Bahraini nationality laws, and ensuring that the children of Bahraini women who are married to foreigners are given citizenship rights (this was mentioned, for example by Sierra Leone, Slovenia, Uruguay). Slovenia also noted, as did other members, that women are still underrepresented in political and public life and many recommended that they would like to see an increase in the number of women holding leadership positions. Many countries mentioned the need to eliminate or investigate all allegations of torture and bring perpetrators to justice, and some more specifically called on Bahrain to ratify the Optional Protocol to the Convention against Torture and Other Cruel, Inhuman or Degrading Treatment or Punishment (OPCAT). Many member states condemned the 2017 execution of 3 Bahraini men by the state, with Bulgaria labeling it as a “step back” from the country’s practice on executions. There were numerous calls for a moratorium or abolishment of the death penalty. Countries who commented on this issue include Argentina, Armenia, Australia, Germany, the Philippines, Sweden, and Slovenia. Member countries noted that there were a number of human rights defenders/civil society members who were not able to be present at this UPR, due to travel restrictions placed on them by the state and the Netherlands specifically requested the Bahrain delegation to elaborate on this news. Switzerland notes that it “deplores reprisals against civil society activists” which prevented their travel to Geneva. 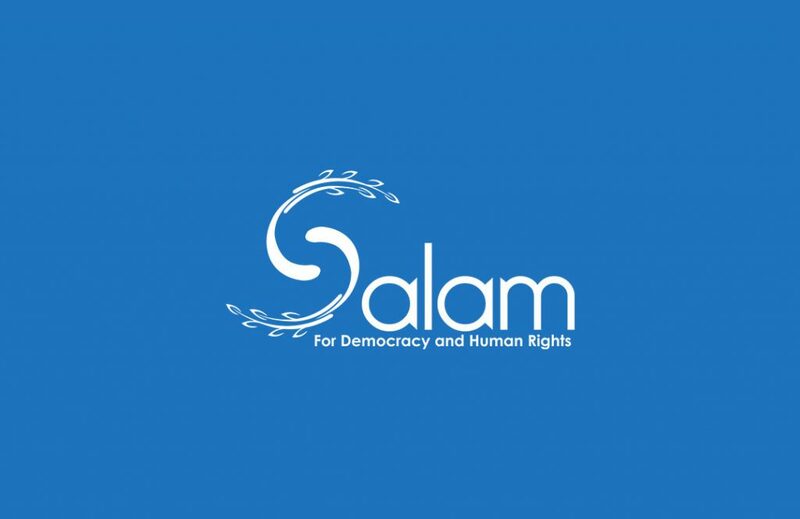 Numerous member countries mentioned limits on freedom of expression, association and peaceful assembly, some (such as Switzerland) calling for all persons detained for these purposes to be released and their charges repealed immediately. Discrimination towards migrant and domestic workers was brought up (sometimes mentioned along with women workers) and Sri Lanka specifically requested the improvement of migrants’ rights, domestic legislation and access to healthcare and legal aid. Switzerland specifically called for Bahrain to ratify ILO convention 189 on domestic workers. The UK government specifically recommended implementing a national strategy on trafficking of women and girls. Other countries, such as Angola, requested support for victims of human trafficking. This issue was brought up by other member countries, such as India and the Maldives. Austria and the Netherlands voiced concerns about the use of military tribunals being used to try civilians, allegedly as an anti-terrorism response. Pakistan, Senegal, Sudan, Djibouti and others promote integration of persons with disabilities- sometimes putting them together with vulnerable groups that included girls, women, and migrants as well. India mentioned domestic violence as a human rights issue present in Bahrain. There were a number of mentions of the need to promote human rights awareness in national education programs and through police and law enforcement training; America mentioned the excessive use of force. There were two breaks in the country comments and dialogues as well as closing statements to allow for the Bahrain delegation to provide feedback and respond to questions. They addressed various concerns, for example the rights of detainees and mentioned the signing of an MoU with ICRC for visits to detention sites and prisons. They commented that there have been academic training programs of the police academy for 15,000 people and diplomas in human rights. Delegation members mentioned a draft law for increased freedom of press and noted, a couple of times, that journalists are not forced to reveal their sources and that no journalists have been detained in Bahrain. In response to concerns about the death penalty, it was noted that it was only used in instances of grave crimes, and that capital punishment was only used in response to rare and terrible crimes. There was a note that human rights reports are regularly sent to UNOHCHR. As well, many statistics showcasing a high participation rate of women involved in the public and private sphere were offered, stating that 28% of businesses are owned by women, and that they make up 36% of the banking sector, 9% of the judiciary, 8% of ministerial positions, 10% of the municipal council and 46% of the electorate. Statements on the availability of free public education without discrimination were made, stating that Islamic education is offered but that no students were forced to participate. They mentioned the existence of trade unions and that Bahrain ranks highly in employment levels. The common availability of indiscriminate and adequate access to excellent health services was mentioned also.